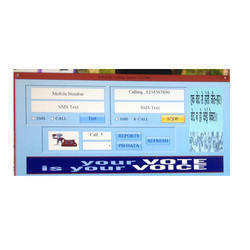 Our product range includes a wide range of automatic calling software, election software and gsm modem and software. 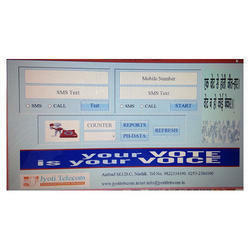 Automatic Telephone call software will be useful if you want to send message or want to call many numbers at a time. First is Test if you want to do message or call on single number using this software just type number in this first test window select option call or SMS. If it just call then type number select call option and click on test. Call will connect. Here in access file you can add numbers on which you want to communicate one by one. After that close this window. When you click on start button and select call option one by one call will go to all numbers store in file. Below counter there is window in which from drop down you can set how many seconds you want call can continued. 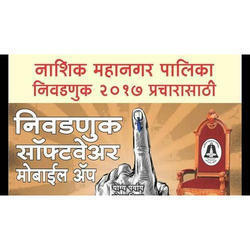 This can be very useful if you want to do election campion. 1. First is Test if you want to do message or call on single number using this software just type number in this first test window select option call or SMS. If it just call then type number select call option and click on test. Call will connect. Here in access file you can add numbers on which you want to communicate one by one. After that close this window. When you click on start button and select call option one by one call will go to all numbers store in file. Also when you will click on report button, you will get report of all calls done and SMS sent.